iBall the reputed PC makers in India entered the cellphone market but didn’t manage to get create that kind a buzz. 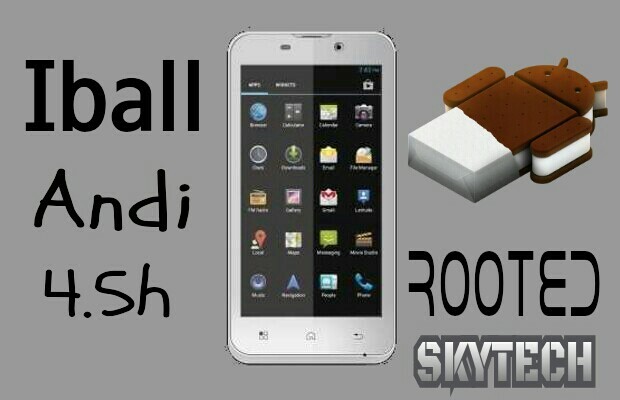 Anyways the iBall Andi 4.5h is a good phone in their line up. Its key feature is the 1GB Ram and the 8mp camera which is good for Gaming, Multitasking, and Photography… In this you will know how to Root and Unroot your Andi 4.5h in simple way. And get all the privileges of it. Hurray your device is now Rooted..!! Now just enjoy..
Stay connected for more updates..